People can keep their keys in this Key Holder with Door in Wood and Brass while also using it as a stylish addition to their Read More..home interior. 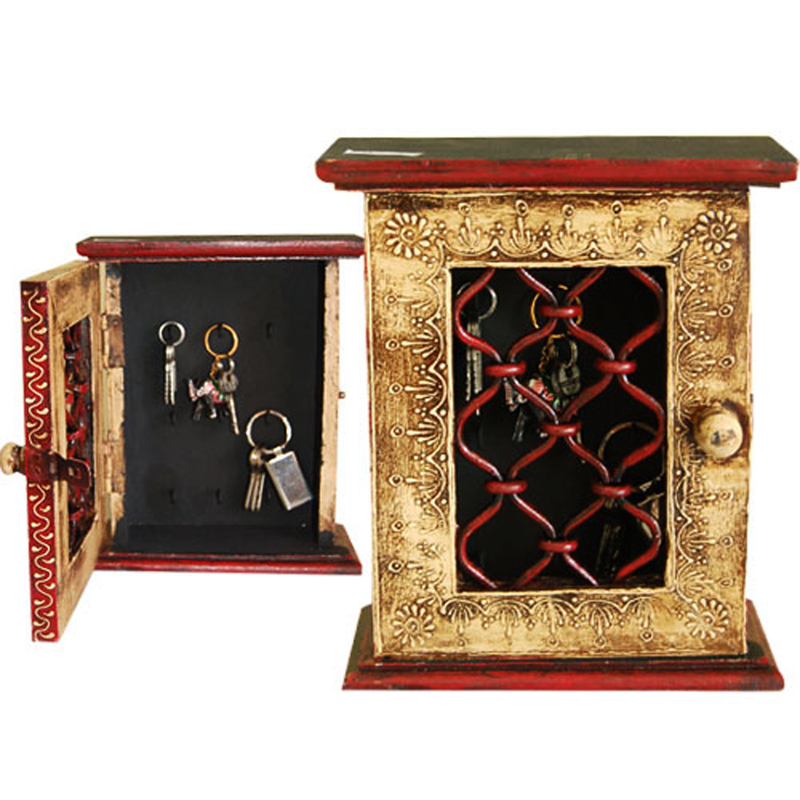 The inner compartment contains nine hooks for hanging the keys from, while the door facilitates greater protection for their valuable possessions. The quality of the wood used in its crafting is of highest grade while it also sports an antique look to make it even more attractive. Therefore, this Key Holder with Door in Wood and Brass is ideal for those looking for a stylish place to keep their keys but without compromising with their safety. Show Less..